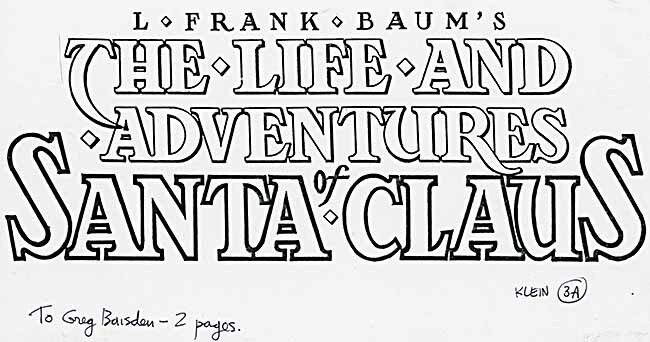 In 1992 I was asked by Tundra to design a logo for Mike Ploog’s graphic novel version of this Baum story, perhaps his best-known work after the Oz series. 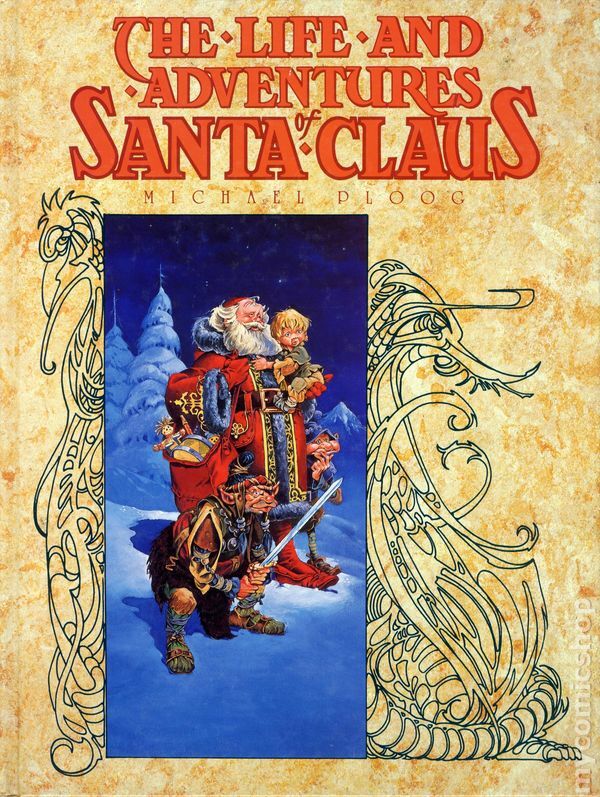 I love Baum and Ploog, and I loved having the chance to work in a style that evoked books of the early 20th century, so this one was a win on all counts for me. I only have two marker sketches, here’s the first. 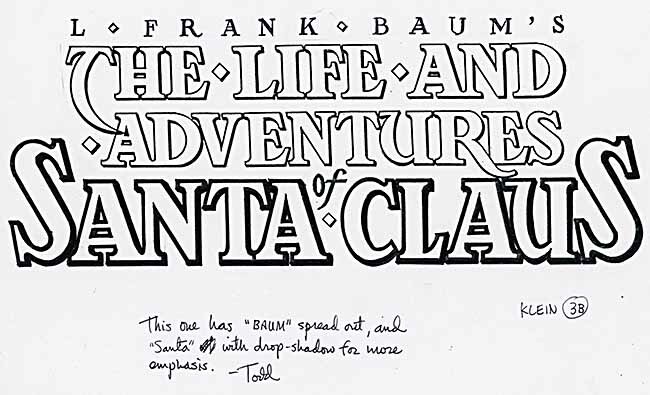 The second is nearly the same, but with Baum’s name spread out and a slight extra drop shadow on SANTA CLAUS. Version 3A was preferred, and here’s the final logo drawn on vellum. The printed book put the outline in dark red with the letters filled orange, not a color scheme I’m fond of, but I think it worked well otherwise. I would have gone for a more retro cover design, but Tundra probably knew their audience best. Here’s one that did not appear on a cover, it was the title of an article I wrote for WIZARD MAGAZINE #54, February 1996. I can’t find my copy of the magazine, so I’m unable to show the printed version. The article was illustrated with photos of me working on a sample page, and turned out rather well. I like this title, too. Of course I did not choose the title or subtitle, that was all the editor. This and following images © DC Entertainment. 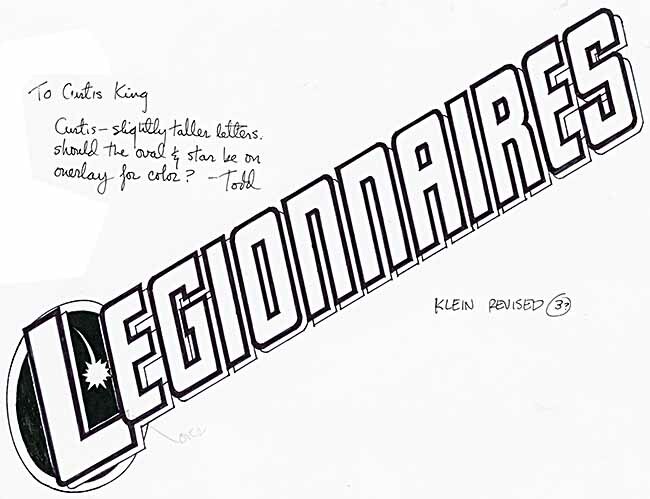 In 1993 I was asked by Curtis King at DC to design a logo for a new Legion of Super-Heroes book called LEGIONNAIRES. Even this shorter version of the group name made for a very long logo! The comet and oval came from their flight ring design I think, otherwise it’s standard block letters. This second marker sketch was done at an angle to fit on the typing paper I was using, and differs mainly in the letters being taller, probably a suggestion from Curtis. Hard to see, but there’s also a note to put the right tip of the L over the E.
Here’s the final logo with that change. The black areas of the oval are divided from the letters by a white hairline for easier color separation. 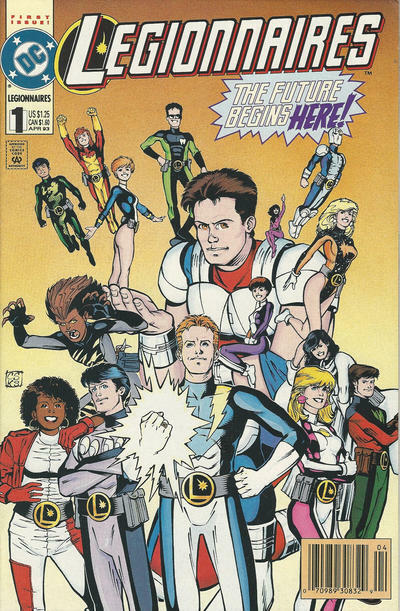 The printed cover of issue #1. In this case, they didn’t put the black areas of the oval in a color, and left the white hairlines, which looks a bit odd, but that’s a minor detail probably only I would notice. In 1997, DC asked for a special version of the logo to be used on issue #54, a retro look in the style of this Ira Schnapp logo design that first appeared on issue #139 cover-dated April 1949 (without the tagline seen here). 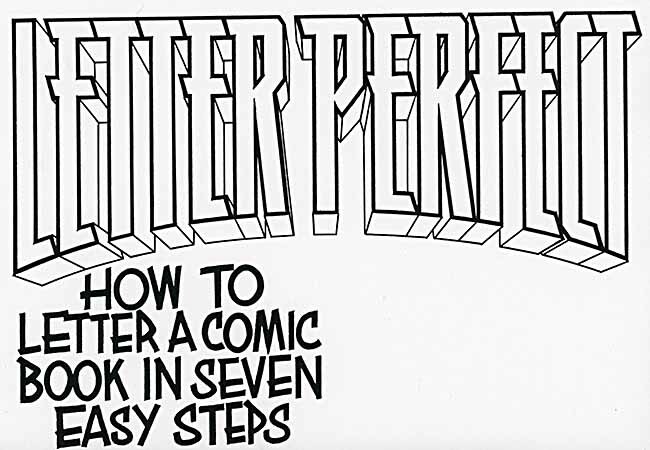 It’s a logo I loved as a young comics reader myself, and one I enjoyed working with. Here’s my pencil sketch. As before, the very long word required the letters to be compressed horizontally to cover about the same area. By this time I was doing finished logos on my Mac computer in Adobe Illustrator, and that’s how I did this one, tracing over the pencil sketch and making adjustments as I did so to keep the strokes even in width and style. 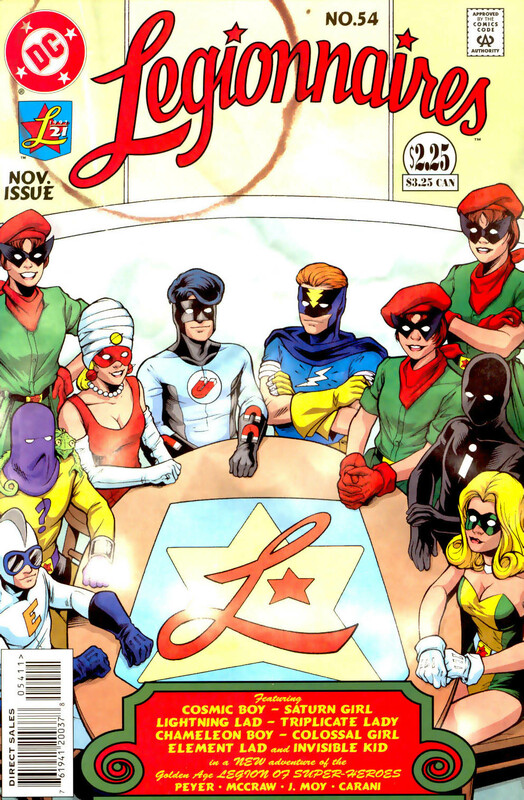 The rest of the cover is actually an homage to ALL-STAR COMICS #3, the first appearance of the Justice Society of America in 1940, which had a completely different logo. I think this looks pretty great anyway! Other articles like this can be found on the LOGO LINKS page of my blog and the “Pulled From My Files” topic on the right margin of this page. More when I have time. This entry was posted in Logo Studies, Pulled From My Files on February 25, 2018 by Todd.